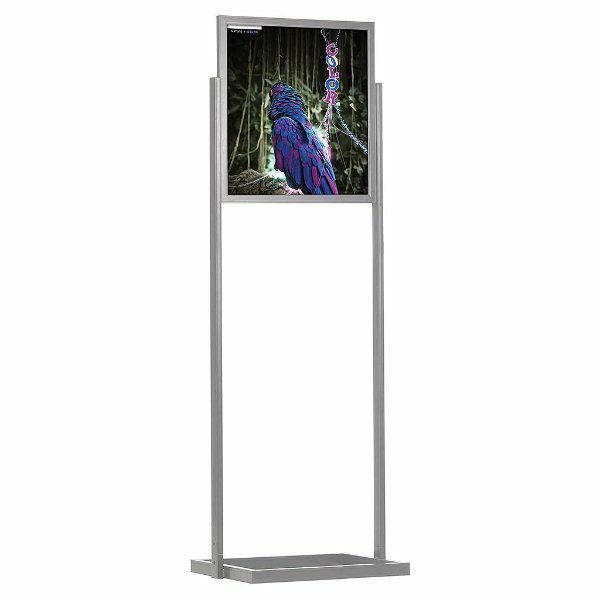 Packing Size: 23.43" x 69.29" x 3.35"
1 Tier Eco Info Board; is a new double-sided economy floor stand. The black PVC in middle of 2 posters prevent light transmission. Easy to change poster by simply sliding in through the channels of the stand. Eco Info board has different models that can go up to 2 or 3 tier and display max. 6 posters at once. It is suitable for public spaces. The square base provides stability. The product is packed unassembled with an easy-to-understand instruction sheet & fixing elements hardware. Delivered with poster protective set that includes: 2 clear + 1 black sheet. 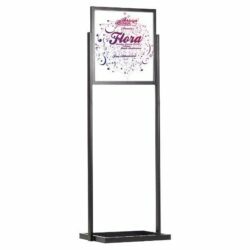 Whether you want to advertise your products and your promotions in front of your retail store or you need to display your anouncements in your office, you will definitely need an easy-to-use and powerful poster stand to be visible. 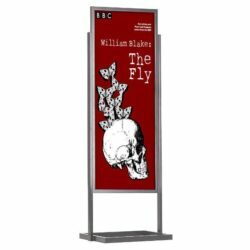 This functional poster stand will definitely fulfill your requirements. 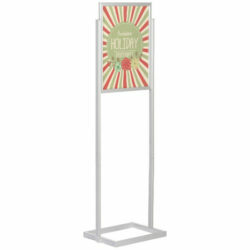 First of all it is a very lightweighted aluminum construction poster stand and therefore it can be practically transported to elsewhere. 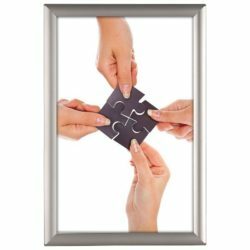 The durable silver finish gives it a sleek look, to fit in any environment. To crown it all, it is a low priced poster stand. 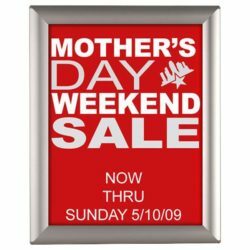 Inserting and changing the graphic is also very easy: You only insert the 22″x28″ poster from the slot on the top, slide it in between the two non-glare lenses. For replacing, you just have to slide out the old graphic before you slide the new one in. Make sure you insert two posters back-to-back because this functional poster stand allows for double sided exposure. The rigid support panel helps graphics to be taut, whereas the non-glare lenses help to protect the graphic inside from being worn and torn. The stand comes unassembled but it is very easy to put it together with the 2 screws included in the set. All you have to do is to screw the base and the upper body together. Easy to assemble and looks really nice. I keep coming back to this product and re-ordering more.